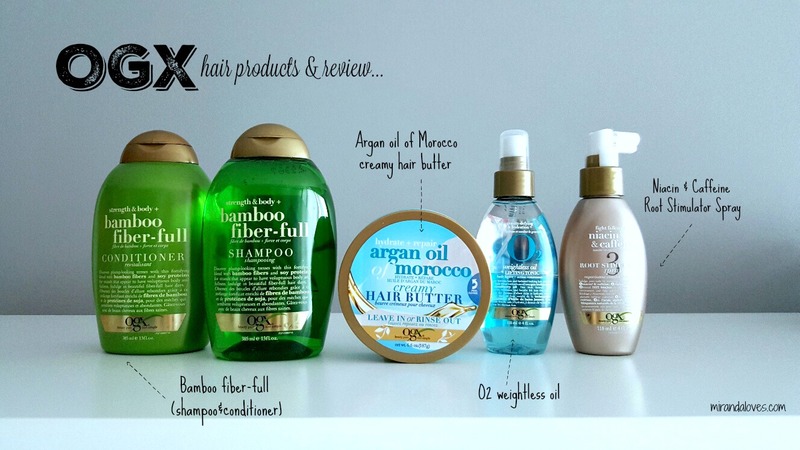 I have always been a fan of OGX hair products and I have tried a few products from their range, including but not limited to: B5 Shampoo and Conditioner (love! ), Biotin & Collagen Shampoo & Conditioner (neutral), Argan oil of Morocco Shampoo & Conditioner (not a fan, weighed down my thin hair), Renewing Argan oil of Morocco Penetrating Oil (love!, it's weightless and dries quickly while hydrating you), Weightless hydration coconut water shampoo & conditioner (love it! Hydrates and doesn't weigh my hair down). When I was allowed the opportunity to try out a few other products from their brand, I really couldn't refuse. I had told them that my focus is on volume or hair loss prevention. I had also said that I wanted to try some products that provided hydration without making my hair feel weighed down or greasy. Thus brings the products shown above - please continue reading if you would like to hear my thoughts on them. 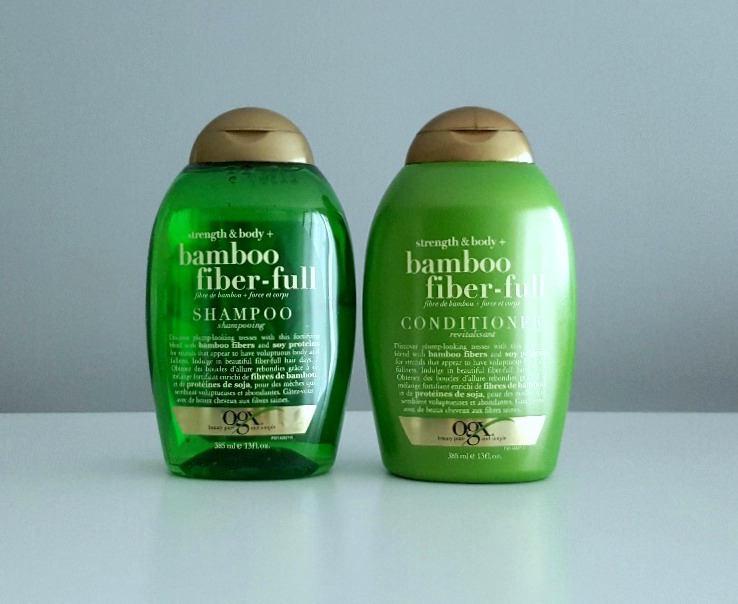 The OGX Bamboo Fiber-Full Shampoo and Conditioner is said to add volume to your hair by using a blend of bamboo fibers and soy proteins. I would have to absolutely 100% agree with their claim. This is by far my favorite OGX shampoo + conditioner I have tried, it has won over my previous favorite, which is the Coconut Water one. 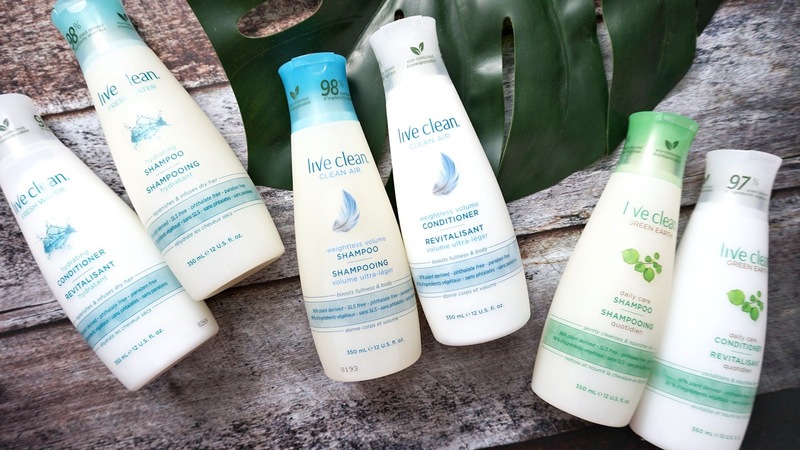 The Coconut Water collection worked well to hydrate my hair without weighing it down, however it didn't necessarily provide me with volume. The Bamboo Fiber-Full actually gave me the volume I wanted as well as the hydration I liked. It made my hair look like I had just gotten a blow-out at a professional salon and had a bounce to it. I will definitely be repurchasing this product. 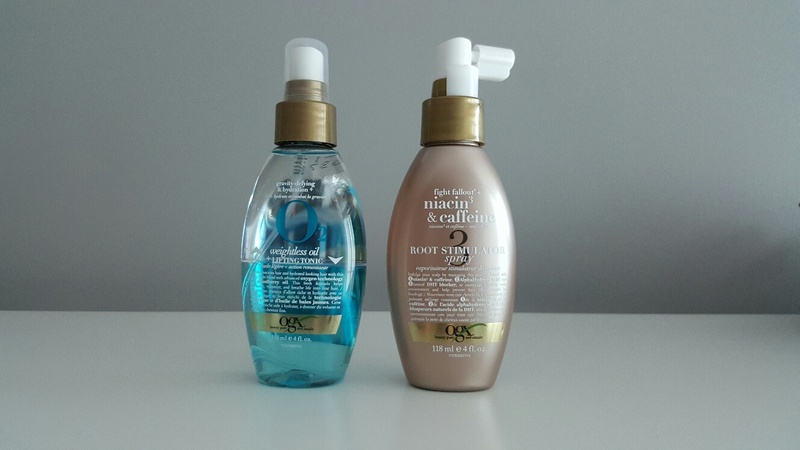 Below are two different spray products - Left: O2 Weightless Oil + Lifting Tonic, Right: Niacin & Caffeine root Stimulator. The O2 Weightless Oil & Lifting Tonic was really pleasant. It smells great and isn't greasy. 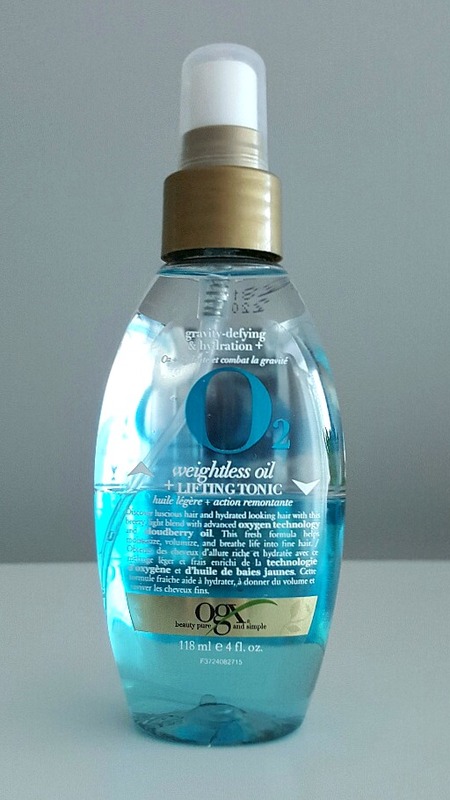 In fact, even though there is an oil proponent to this, it didn't feel oily at all - it just felt like water. It also smelled fantastic. 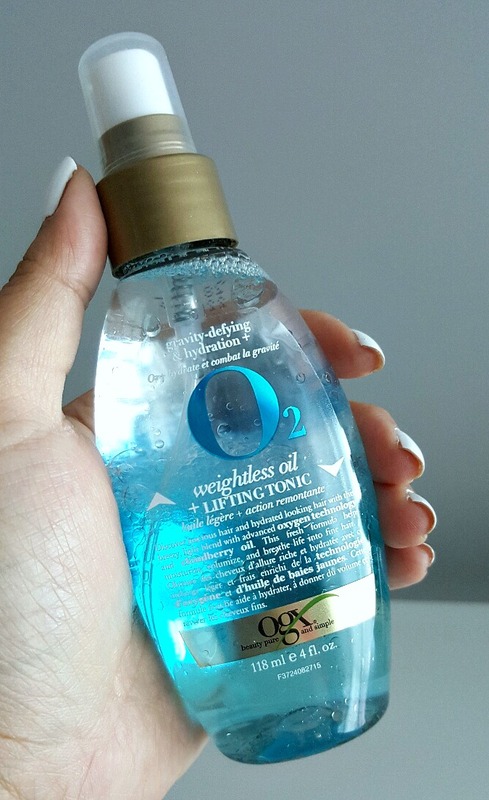 It gave my hair volume without leaving behind any residues at all. The only negative thing I have to say about this is the nozzle spray - I'm not sure if it is the fact that I got a defected one or if it's because of the formulation of the product - but I was only able to get a good 5-6 pumps out before I had to disassemble it, run it under water and put it back together - then it would work again for another few pumps, and then it would stop spraying again. I actually love this formula alot, so I may actually buy one at Walmart and then see if it works out. The Niacin & Caffeine Root Stimulator Spray - I enjoyed this product, but not as much as the Weightless Oil & Lifting Tonic. However, I cannot attest to whether it actually helps with hair regrowth as I have not been using it long enough. Love the whipped texture of this hair butter - it's ultra luxe and creamy and aims to help repair any dry, brittle hair that you may have. 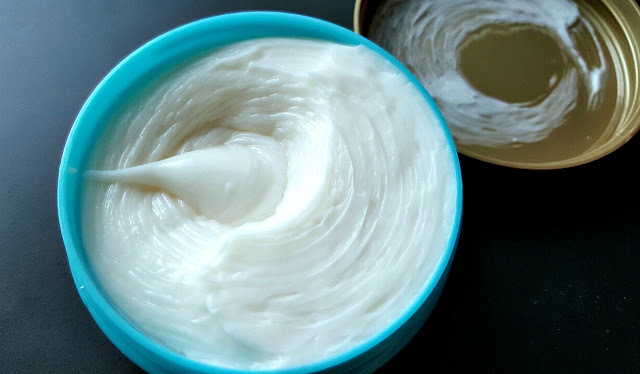 You can either use it as a hair mask, leave-in treatment or I even read online that you can use it on your body by massaging it day and night. I am not quite sure I will be using this as a body product, but I am favoring this as a hair mask in the shower. I put a nickle size on my palm, rub it through my ends and let it sit (having the steam from the shower penetrate it and let it do its work) while I wash my body. I found the best use for it this way. If I use it as a leave-in treatment, I found that it does weigh down my thin hair, so unfortunately I cannot use it in that way. 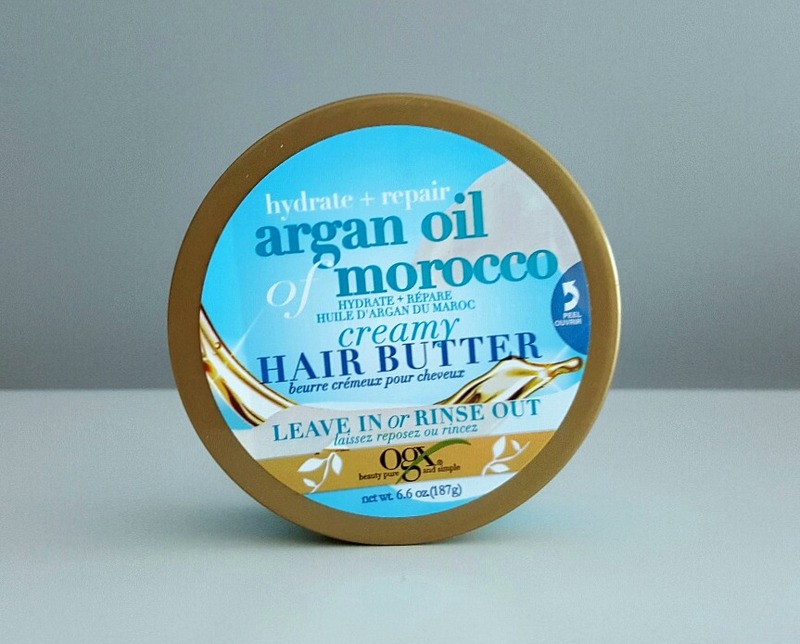 Have you tried out any OGX hair products? If not, I really suggest you do - there is such a big range from them that there is surely something that will suit you. 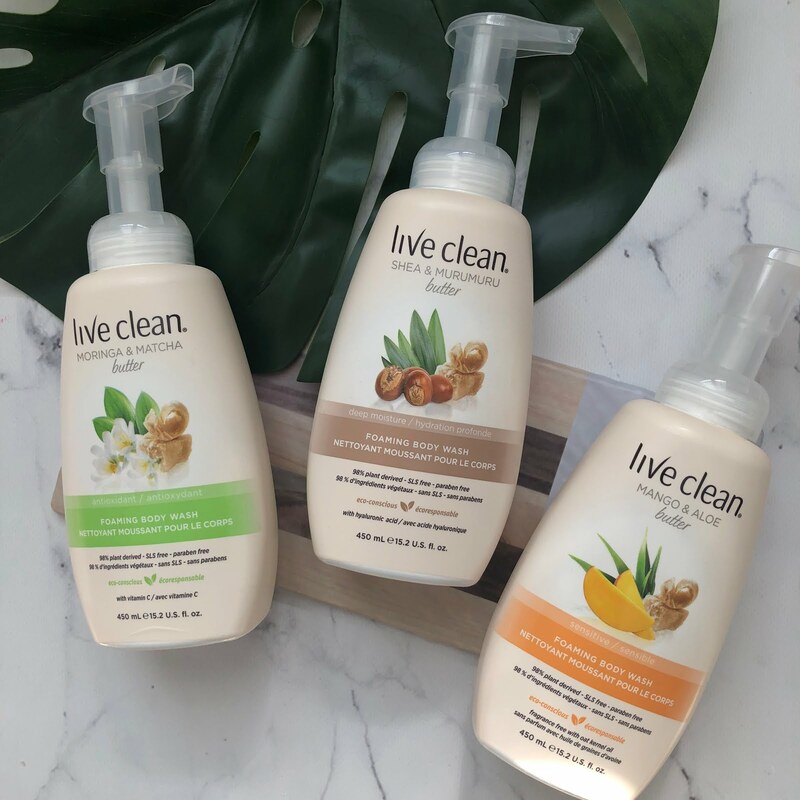 In Toronto I usually go to Walmart to pick up the products as it is most reasonably priced, but you can find these at your local drugstore.